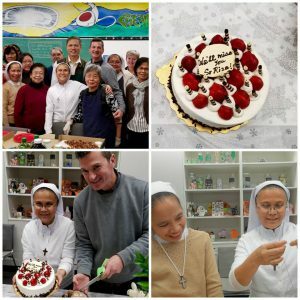 Sr. Riza has been an integral part of The Door Is Open (DIO) team and we were sad to see her return to the Philippines, at the end of her term of service in November. In her gentle, unassuming manner, she quietly contributed her efforts to every part of the DIO ministry. She could often be seen serving meals from the side room, doing meal preparation and serving in the main kitchen, cleaning the kitchen and dining area, playing the guitar for grace before meals, helping (and participating!) in the Wednesday Arts & Crafts program, and much more. 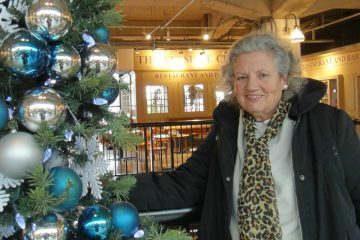 Her kindness and unfailingly positive attitude have touched all of us, staff, volunteers and guests alike. 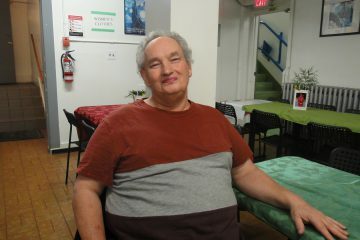 She is sorely missed but we offer our prayers and good wishes to her as she settles back in the Philippines.